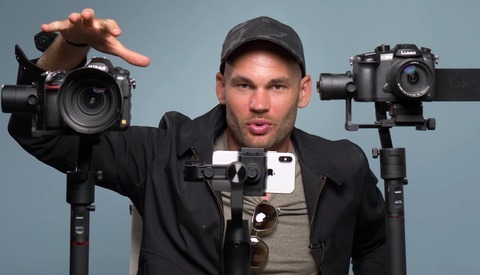 Believe it or not, the iPhone is a professional choice for many videographers today. If you're looking to stabilize your iPhone's video footage, we've found one of the cheapest and most convenient options available. I certainly haven't used every iPhone gimbal on the market today, but I have used a few of them and the Smooth C is the best we have tested. It currently costs just $209. The product page says it lasts four hours on a single charge and I believe it. We use ours for days at a time without charging. 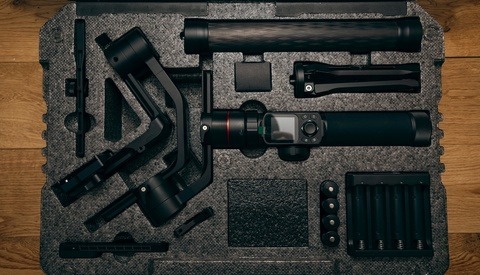 The Smooth C has a "D pad" for your thumb that allows you to pan and tilt and also has multiple user options that change the way the gimbal works. For instance it can tilt, pan, or spin based on orientation automatically or you can lock them off so that the phone remains perfectly stable and level no matter how you move the handle. The iPhone is certainly not the best tool for every occasion. In any situation without an abundance of light the iPhone's footage completely falls apart. But, if you're like us and you constantly need smooth moving footage shot outside during the day, the iPhone and a Smooth C is a fantastic and incredibly affordable option. If you want a more professional option, stay tuned for our review of the Osmo X5R. I bought an Osmo Mobile instead even after you recommended this to me on the Elia group- I fell for the active tracking! I have no doubt the Osmo Mobile is better. But it is $90 more expensive. Well, I'll soon see, it's being delivered tomorrow. From reading the DJI forums it seems like it might be a bit buggy- especially with phones that have OIS. What can I say- I'm a marketeer's dream! Wow, you should really read those amazon reviews you linked to before recommending this. I only read the ones on the front page. Seems like people complained about the 6s+ not fitting and it needing to be calibrated often. We have owned about 3 different brands so far and they would drift horribly. This one is by far the best we've used yet and the calibration hasn't occurred for us yet. I was thinking about buying one of these things. Recording 4K DCI 30fps to an external SD using USB OTG on my phone, stabilized video and all, does this things need to be connected to the phone all the time? Does this gimbal support the weight of extra lenses on the phone? I bet it would with small lenses if you balance it out. Feiyu G4 Plus? Karen X Cheng just posted a cool dance with a 7+ a couple of days ago (title says 7 but you can see the dual camera). All the reviews I've seen with the Smooth C and a 6S+ look bouncy. 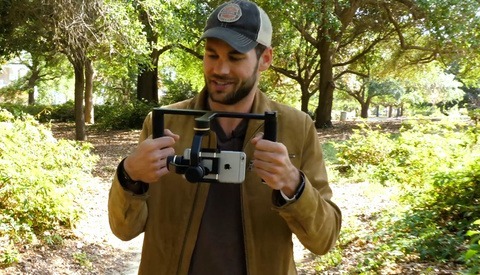 I'm looking for a nice gimbal to use with the larger iPhone and I'm wondering if this Smooth C is only good for the smaller one that weighs less. Supposedly filmicPro helps too to bypass Apple's default settings. Not sure haven't tested it with anything other than 6s. Keep in mind that "bouncy" would be user generated as the up down motion isn't stabilized with these. Dji has a z axis stabilizer I've yet to try. Wow, I'm kinda surprised that iPhone is considered a professional choice in some scenarios for videographers today. You might want to try the EVO SP Pro Gen2. Check it out here https://www.evogimbals.com/products/evo-sp-pro-gen2-smartphone-gimbal-st.... It has a good 1-year US warranty and it is much better than the Smooth C.